Within gambling organizations, the trend has been toward consolidation. In part, the consolidation has been happening because of an increasing amount of regulations governing gambling. This is especially true in Europe. Many countries are increasing regulations and the amount of taxes gamblinsg companies have to pay. In addition, U.S. gaming companies are banding together because of the increase in gaming offerings from state to state. Companies have found it beneficial to enter partnerships with other gaming companies with different specializations to be more competitive. This is exactly what happened with the agreement between William Hill and Golden Entertainment. William Hill, a sportsbook headquartered in the United Kingdom, has entered into an expanded agreement with Golden Entertainment. 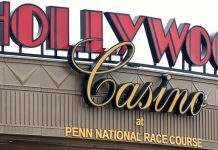 The agreement allows William Hill to manage race operations and sportsbooks at Golden Entertainment’s facilities in Nevada, Maryland, and Montana. The agreement will provide additional revenue for both William Hill and Golden Entertainment to put into their pockets. The company’s namesake founded it during the Great Depression. Gambling was illegal at that time. The company changed hands many times but always specialized in sportsbooks. The company has seen many ups and downs. At one point, it was the victim of its CEO’s stock sale to fund his divorce. But, the company is resilient. While William Hill continues to have its headquarters in the United Kingdom, it has locations around the world. The company employs more than 16,000 people and has more than 2,300 licensed betting offices. It is the largest company in the United Kingdom that operates bets by phone or the Internet. William Hill offers several sportsbooks, including tennis, soccer, golf, and rugby in the United Kingdom. In the United States, the sportsbook offers football, basketball, baseball, tennis, and golf. For football and basketball, the sportsbook features college and pro teams. William Hill also has online casino games, games of skill, such as blackjack and baccarat, bingo, and poker. The company has gaming machines as well. The company’s training program helps its employees to spot underage gamblers and prevent them from gaming. Founded in 2001, Golden Entertainment has its headquarters in Las Vegas. It was a small casino company that also had an interest in taverns. 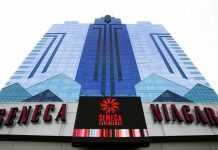 The company has gradually increased its casino holdings in Colorado and Nevada. Primarily, Golden Entertainment has been concerned with small casinos and excellent customer service. The company has specialized in slot machines, especially in Nye County, Nev. Golden Entertainment now has casinos in Nevada, Montana, Arizona, and Illinois. The agreement will mutually benefit each company. Golden Entertainment has more than 80 taverns and small casinos in Nevada into which William Hill will install betting kiosks. In addition, William Hill will manage the sportsbooks in a couple of the larger casinos in Las Vegas. This includes the Stratosphere hotel, casino, and observation tower. The Stratosphere is the largest observation tower in the world. William Hill will also handle sportsbooks in Golden Entertainment’s gaming operations in Montana, which doesn’t have sports gambling yet. Montana is one of the states that is planning to pass legislation to allow sports gambling. Golden has approximately 300 small gambling establishments in Montana where William Hill will be able to have kiosks. The two companies together present a formidable force that others will have to reckon with, especially in the West. Golden had revenue of more than $216 million in the second quarter. That represents a significant growth for the company. 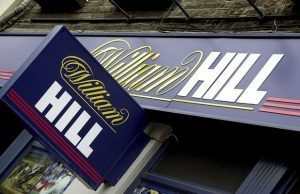 William Hill had a quarterly revenue of $1.058 billion in the second quarter. That represents about a 3 percent growth over the same period last year.